Now that we have given you the background on kinesthetic learning it’s time for the fun part- teaching active lessons! When beginning to incorporate active learning and brain breaks in your classroom it is important that you start small and set the tone for your expectations. Don’t dive in right away with a 20 minute relay, but rather gradually incorporate small movement breaks throughout the day and begin to lengthen as students demonstrate that they are ready. Step 1: Begin with a warm up. That can be a game, stretches or any quick activity that sets the tone for the lesson. Do as I Say…This game is similar to “Simon Says,” but rather than saying “Simon says” say a movement an either do the movement or do another movement. Students need to match the instruction and not the movement. Four Corners: The key to this game is to be quiet. Point out 4 corners of the classroom and label them 1,2,3,4. Have a student stand in the middle and count down from 10. When they reach 0 they call a corner. Those students either do an exercise or sit down at their desks. Commercial Break: Repeat 4 different exercises for 30 seconds each. Such as: 30 seconds of squats, 30 seconds of lunges; 30 seconds sky punches; 30 seconds knees to chest. Up, Down, Stop, Go: When a direction is called, students must perform it’s opposite. Up means reach down, down means reach up. Stop means run in place and go means freeze. Call out as many movements as possible. Seats Up: Students all stand behind their desk and the teacher asks review questions. If students know the answer they raise their hand. The student that correctly answer the question gets to switch places with another student. Freeze Dance: Put a little T.Swift “Shake it Off” on and let everyone dance it out. When the music stops everyone has to freeze to match the teacher or leader. 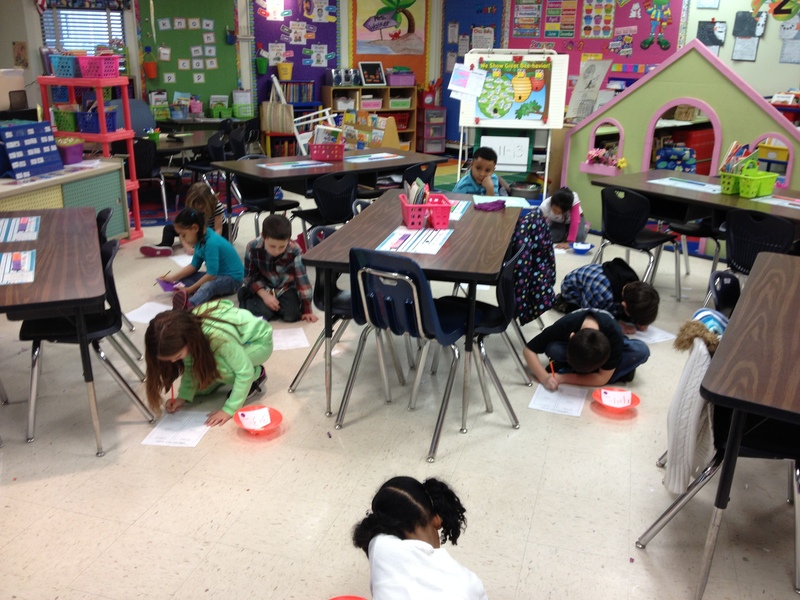 1st Graders scoot around practicing their doubles facts. Scoot- Place task cards around the room. Students go to a card, answer, and then complete an exercise before they move on to the next card. Freeze Dance- Play some music and when you pause, ask students a question. Relays- Students move from one spot to another to collect cards by lunging, walking, crab walking, etc. Musical Chairs- Place question cards on chairs. When the music stops the chair where they land is the question they answer. 4 corners- Label the corners A, B, C, D, with digraphs, animal adaptations, the possibilities are endless. Students move to the corner that matches their answer. Step 3: Take a minute (or 3) to cool back down. While students are participating in active learning they will not be at their seats, but moving around the classroom. It’s important to transition back to the classroom with a series of cool down stretches and deep breathing so students are ready for the next task. Cooling down with some deep breaths. Seated stretches that focus on lengthening the sides of the body such as side reaches, crossing one arm in front of the body, etc. Forward folds standing or seated. Make sure students know they don’t have to touch the ground and that they can bend their knees. Forward folds are grounding postures. When inviting students to move in the classroom make sure that there are defined expectations to keep everyone safe. Get their bodies warm and ready before the game and make sure at the end they are cooled down and ready to listen. Don’t have time for a complete active lesson? Fear not- brain breaks are a great solution! 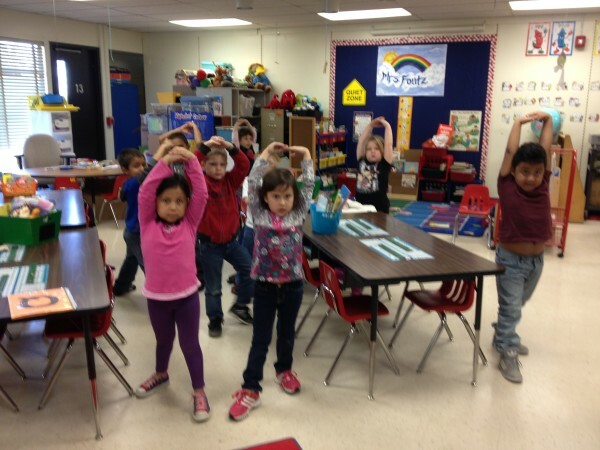 Check out our Brain Breaks 101 for some quick ideas! Let’s put the ACTIVE back in activity!